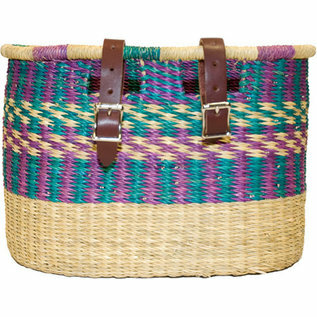 This basket reflects the memorable colors of the Ghanaian countryside. 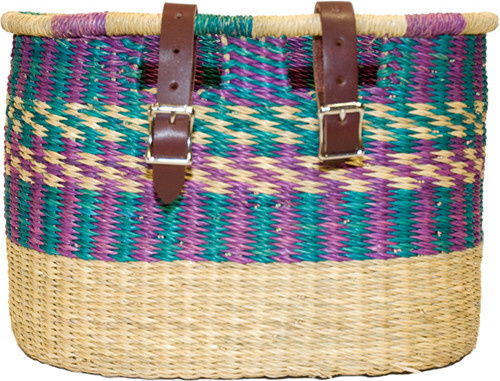 The Asungtaba bicycle basket is woven from veta vera grass in the Northern region of Ghana. Whether used for small grocery trips, a catch all of small accessories or simply for a fashion statement, these incredibly durable baskets are sure to be a conversation piece. Their usefulness is outweighed only by their exquisite construction and passion with which each artisan crafts these baskets.